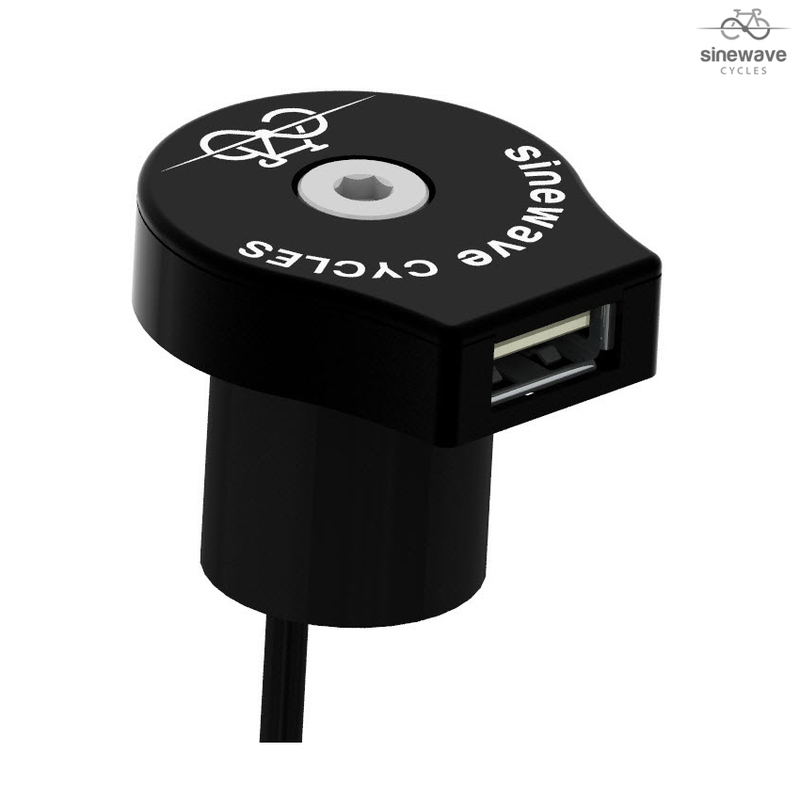 The Sinewave Reactor takes the performance of Sinewave Cycles' Revolution dynamo-powered USB charger and shrinks it into a package that fits above the star-fangled nut in a threadless steerer tube, with a pass through for the 6mm bolt. The only visible part is a custom CNC-milled stem cap holding the USB connector. The cap is only 9.8mm tall and available in silver, black, red and blue. The Reactor is compatible with 1" and 1 1/8" threadless systems. The Reactor is made in the USA. I have fitted one of these to my Nomad because my latest GPS & Phone won't accept my E-Werk. Fitting is quite straightforward, you just need to take your time threading the cable through the Star Nut & down the steerer. Once fitted it charges at the quoted speeds & is a very neat & tidy installation. My Phone, GPS & Kindle all charge fine. What if it's rainy day? WHat if it's a rainy day? Is it waterproof? or does the manufacturer provide some kind of protector from rain? Do we need any extra cable? Do we need to buy any extra cables to connect it to the hub? No, all the required items are included. CAN YOU AT THE SAME TIME RECHARGE AND THE LIGHT ON? CAN YOU USE AT THE SAME TIME RECHARGE AND THE HUB DYNAMO FRONT LIGHT????!!!! The item is more than capable of charging at the same time as using lights, but it is dependant on the hub. This should work will all smart phones. Does Part No. 43659 (Sinwave Reactor) Includes Also The Dinamo? This is just the charging device, you will need to connect it to a separate dynamo hub to provide power too it.